Established in 1983, with in-depth and immense knowledge, Electrotherm India Limited has successfully crafted a position as one of the noted manufacturer of Engineering and Projects. We are widely acknowledged by our esteem clients for providing premium quality Engineering and Projects, Transformers and ET TMT Bars. Electrotherm has taken the first step in committing to making a pollution free world by introducing the YObyke electric scooters and setting up the wind farms and solar power plants and is also working upon to introduce electric three wheelers and hybrid bus. Our products continually undergo research and development leading to innovations of global scale to suit the changing global environment of the customer requirements. Moreover, our offered services are broadly commended and cherished owing to its low cost and functionality. Engineering innovations for the metal melting industry has been possible due to our focused 2,607 employees with a State-of-the-art manufacturing facilities and R&D center. We manufacture a wide spectrum of products for the metal melting industry and electric vehicles & are manufactured in four different divisions of the company. We have built efficient state-of-art infrastructure facility for smooth and hassle free functioning of the unit. Manufactured using high grade raw material, our products are appreciated for their high efficiency, stupendous performance, and reliability. Above all, we have built up long-standing business alliances with numerous agencies of national and global repute, establishing a paragon of reliability amid our customers. Under the leadership and technical guidance of, Mr. Tanvir Kataria we have conquered many benchmarks of success. 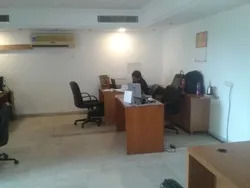 His vision is to progress as a highly technically qualified organization and maintain the status of customer oriented organization facilitating superior quality products and services. Manufacturing & Trading of Multi Divisional Products. We are well reckoned firm equipped with contemporary infrastructure system for serving diversified needs of our customers. Our company utilizes finest quality material with use of latest machines, hence making our products highly durable and excellently finished. We have executed modern production line and ware housing facility, for hassle free production and storage of products, for serving bulk demands of our customers with ease. Optimum utilization of available resources ensures production of bulk products in the quickest possible time period. Our strict fixture with maintaining quality in our products has established ourselves as valued firm among our clients. With the aid of our highly progressive quality testing unit, we have been able to impart maximum quality in our products. Our products are made from the superior quality raw materials sourced from well-established and reputed vendors to ensure flawless manufacturing process. We utilized team of diligent quality controllers for inspection of these under strict quality norms. The inspection process is carried out for different parameters in accordance with clients' specific requirements. The global economic crisis and the slowdown in the Indian economy in the year 2011-12 havepoised great challenges and difficult times for the company. Diverse businesses, economic factors and unavailability of raw material has made the year gone by the most tempestuous year for the company. The global economy is still recovering from the slowdown in the economies of the developed countries particularly European Union and UK. The financial position of the company for the year 2011-12 was affected, mainly due to non-availability of the key raw material – iron ore, higher inputs and interest costs. The uncertainty of the European debt crisis and international foreign markets that lead to the depressed global economic scenario also had its toll on the Indian economy as a result of which India's Gross Domestic Product (GDP) for FY2012 had the lowest growth in last three years, at 6.5 % against 8.4 % in FY 2011. Besides, GDP for Q4 of FY2012 had a mere growth of 5.3%, drastically below the consensus estimate of 6.1%, which is calculated to be the slowest since March 2003.This has been mainly on account of slowdown in the industrial sector due to cumulative effect of the unavailability of raw material, slow demand and monetary constraints. No change in the growth rate is expected in the coming fiscal, with RBI projecting a growth of 6.5% for 2012-13. The Union Budget has announced a number of measures to boost the investment climate, with special focus on infrastructure and manufacturing sectors. For the Steel Industry, the key measures are in the form of increasing custom duty on flat carbon steel products from the level of 5% to 7.5%. This along with measures to bring back industrial growth should allow for accommodation of additional supply on capacities likely to be commissioned in 2012-13. The Global Steel Industry is going through a rough phase with demand declining and the major steel economies like USA and Europe running into oversupply. The World crude steel production in 2011 stood at 1518 million tonnes, growing at 6.2% over 2010, with China contributing as high as 52% to the incremental production. The growth rate however, was considerably lower as compared to 16% in 2010. The WSA has projected that global apparent steel consumption will increase by 3.6% to 1422 Mt in 2012, following growth of 5.6% in 2011. In 2013, it is forecasted that world steel demand will grow further by 4.5% to around 1486 Mt. China’s apparent steel consumptionin 2012 and 2013 is expected to increase by 4% in both the years. India is expected to resume its high growth trend after a sluggish performance in 2011. In 2012, India’s steel consumption is forecast to grow by 6.9% to reach 72.5 MT and is projected to grow further by 9.4% in 2013, driven by increased infrastructure investment and higher pace of urbanisation. India maintained its ranking as the 4th largest steel producer in the World with a production of 71.3 million tonnes in 2011, registering agrowth rate of 4.4% over 2010, as per WSA. According to JPC estimates, domestic finished steel consumptionposted a growth of 6.8% during 2011-12 to 70.92 Million Tonnes. A growth rate of 8-9% in the next few years is expected to be sustained mainly by factors such as the 1 trillion USD investment envisaged forthe infrastructure sector in the 12th Five Year Plan, greater emphasis on increasing growth rate of the manufacturing sector, higher rates ofurbanization, rising middle class population and tapping the potential ofthe rural market. Also, in terms of per capita consumption of finished steel, India at 57 kg lags behind the world average of 214.7 kg, indicating a huge potential for growth. Chairman & Chief Technology Officer. Vision: To be a nimble dynamic and admired group with global presence to achieve profitable growth through customer centric products and services and technological leadership. Mission: Always innovate for a better tomorrow.